For almost 20 years CMR Construction & Roofing has delivered personalized service and expert installation on numerous projects throughout the country. 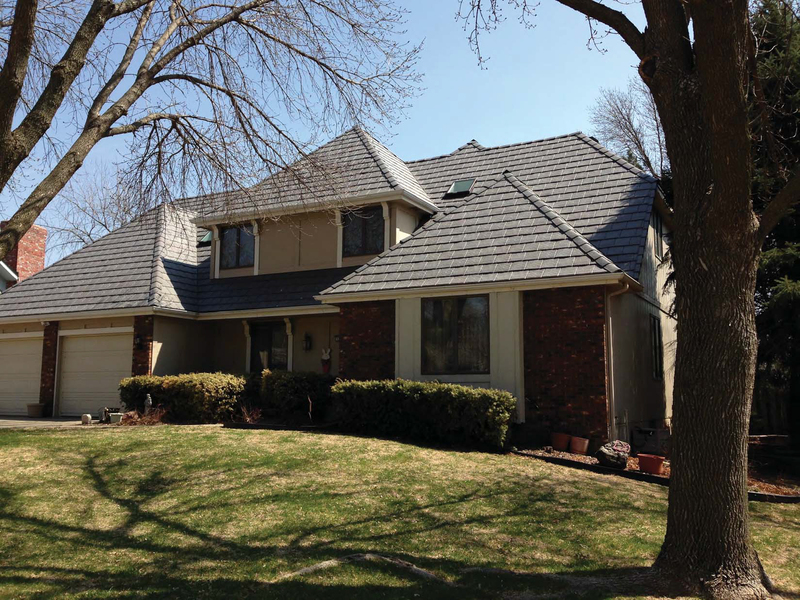 During the past four years, at least 100 of those residential projects — plus quite a few commercial projects — have included the addition of polymer roofing from DaVinci Roofscapes. "We keep coming back to DaVinci composite roofing because it's a superior product and an easy sell to a potential client," says Danny McCloud, general manager of CMR Construction & Roofing. "Once they commit to the imitation slate or synthetic shake and see the DaVinci product on their home, they love it. "With DaVinci it's hard to tell the difference between a real slate tile roof and their composite slate roof. Most homeowners love the look and the color options available to them from DaVinci. This designer roof really brings character to their home." "When slate, tile or wood shake homes are damaged by storms, it's easy to show the homeowner what DaVinci can offer," says McCloud. "People appreciate that DaVinci offers a lifetime limited warranty, the tiles looks authentic and can easily resist impact. They really like the idea of never having to go through the same headaches again to get their roofs replaced as a result of severe weather!"